Mark your calendars for Saturday, Dec. 6 for the Annual Hanging of the Christmas Greens Brunch and Decorating party sponsored by the Altar Teams at Good Sam. This is a fun-filled opportunity to enjoy fellowship and kick off the Christmas season with joy. Brunch will start at 8:30 am. We welcome a brunch dish to share. Contact: Sue V. or Nancy S.
Thank you to Sue V., Colleen C., Dale H., Deb U. , Lisa & Torie B., Andie S., and Jill W. who brought us fellowship for December. Extra applause because it was a five Sunday month! They also set up for the very enjoyable and successful Christmas cookie Sunday. And thanks to everyone who made a batch of cookies… there were so many delicious treats. This was our third year for this event and the donations really exceeded our expectations. It is with regret that we announce Sandy B. is stepping down from the fellowship team. She has been with this ministry for several years and will be sorely missed. But as with any of us, God may call us in a different direction. And Laurie S. heard a call and will be joining fellowship on Ginger L’s. team in a few months. So we say goodbye to Sandy and we say ‘welcome aboard’ to Laurie. We still have openings and if you are interested in trying out fellowship, see Edna. This Sunday, January 5, we will celebrate Epiphany (Monday, Jan. 6). Gloria M. will create the Kings’ Cake. If you find the baby Jesus in your slice of cake, you get to make next year’s Kings’ Cake. Before we know it, the Lenten Soup Suppers will start on March 12 and continue for the next four Wednesdays. A sign-up sheet is in the fellowship hall right outside the kitchen. A Lead Coordinator, who will provide set-up and overall management, is needed for each Wednesday meal. Andie S. has agreed to cover for Edna while we (Dennis & I) are gone for a couple of months. Please discuss any fellowship or supply issues with her. Thanks, Andie! I “loaded” our supplies this week so we should be okay on most items. A new year and a fresh cleaning: a great big thank you to Sue V., Deb U., and Jill W. for cleaning out the fellowship storage area shortly before the new year. This was a major challenge and it is greatly appreciated. There is a calendar in our kitchen. It’s located on the pantry door. Feel free to add dates of interest. Maybe someone could post the Lenten soup suppers (I forgot to do that) – March 12, March 19, March 26, April 2, and April 9. Thanks to the napkin fairy, who dropped off many, many packages of beautiful “starry” napkins! Advent Suppers — Recap & Thanks: We had three Advent suppers which provided an opportunity for those attending to wind down from the holiday stress and reconnect. This year we moved from a soup-focused meal to a supper with casseroles and soups. A big thank you to the Lead Coordinators (Stitching Sisters, Sue V., and Ginger L.) The meals started with a yummy pancake-sausage supper made by the fabulous Stitching Sisters (Ele B., Kim B., Ginger L., and Edna A.) And thanks to everyone who brought food on these frosty evenings: Kim B., Sue V., Anita P., Diane G., Christa B., Diana K., and many others. This same multi-layered nature of God is alive and active in Christ Jesus. We say in the Communion liturgy, “Christ has died, Christ is risen, Christ will come again.” It’s as though the past has a present and future expression and together they make up the full meaning of the name of God and the life of Jesus. 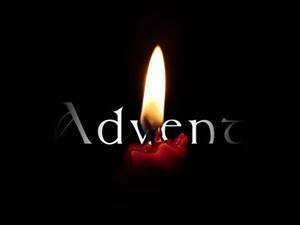 As December begins and we move toward Christmas, we celebrate the season of Advent. Advent means coming. So in Advent we celebrate Christ’s coming. But as we celebrate this coming, it would be insufficient to say we are remembering Jesus’ birth only. A part of this “coming” character of Jesus is that Jesus is still coming to us. He comes these days to us personally: redeeming and strengthening us in faith, and he comes to us in community as he builds the church and gathers together those who have received the Holy Spirit. And still this is not all that we mean by the advent of Christ. Jesus has also promised that he will come again in the final days as King and Judge of the living and the dead. 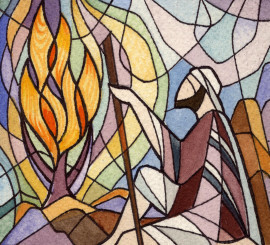 So when we celebrate Advent and Christ’s coming, we almost always mean all three expressions and realities. 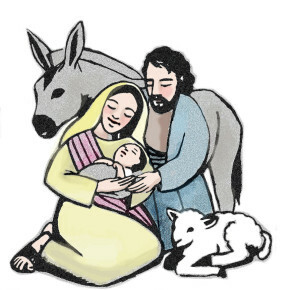 We remember his coming as a child in Bethlehem, we pray for his entering into our lives today, and we lift up our eyes to watch for the day when he will come again. This is the full meaning of Advent. And where Christ’s advent happens – all three of these realities are alive and present. For how Christ came two thousand years ago is intimately connected to how Christ comes into our lives today. And how Christ has come to us personally today is also intimately connected to how Christ will come in the last days. Happy watching and waiting for the Advent of Christ. It continues to amaze me how there are many small vignettes in the scriptures which have great potential to open us to what it means to be in relationship with God’s coming. Re-reading the Christmas story from Luke recently reminded me of Simeon’s story (Luke 2:25-35). Here is an old man whose life revolves around the Temple of God and the irony of Israel’s oppression by the Romans. He earnestly yearns for the day when God’s people will be free of this oppression. Here is a man who knows his earthly days are dwindling. Here is a man who clings to faith and a word from God. In his heart God has promised that Simeon will see the Lord’s Anointed One before he dies. 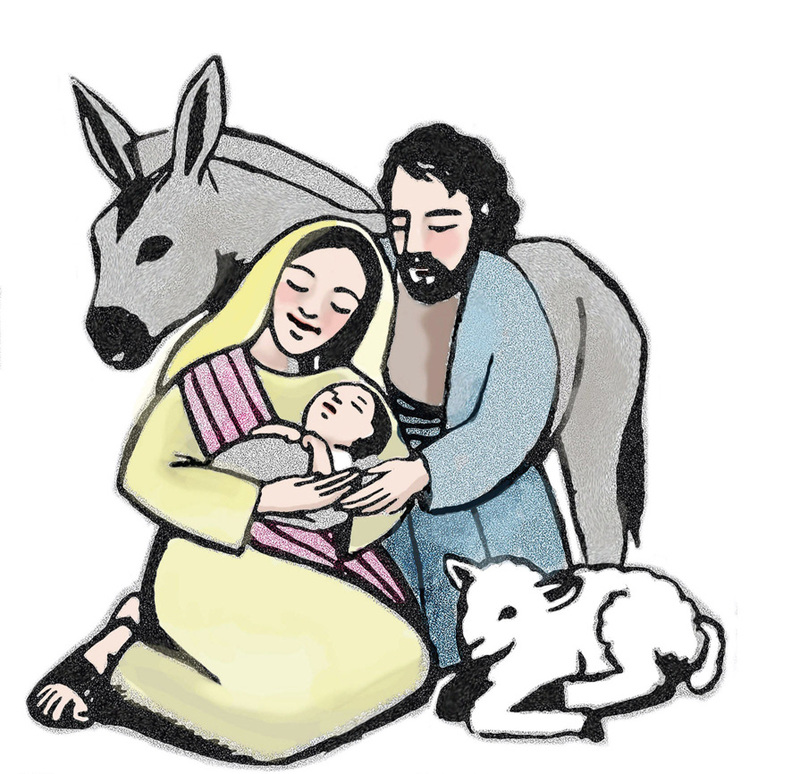 This means that Simeon will be able to see and greet the one who will bring the liberation of Israel. Upon seeing the child Jesus, all the tumblers fall into place, the Spirit leaps within Simeon, and the faithfulness of God is evident and trustworthy right before his eyes. I think this means that he is now soon to depart this world, but I think it also means that Simeon is also at peace and rests in great confidence that God’s working will not delay long. It is imminent, and for that his heart rejoices without reserve. It makes me think about the things for which I wait and long and hope. For what do you wait? Where might God be in the things for which you wait? How can we become hungry and passionate about the coming activity of God? This kind of thinking and behaving is very much the work of Advent. For us these days, we have seen the Messiah’s coming (2000 years ago) and we have learned about the imminent presence of God in Christ, the Emmanuel—God with us. And now too we wait his coming again in power to bring the kingdom of God in its fullness. Perhaps we too can move to a space of heart and mind where we eagerly await God’s activity as Simeon does. Have you gotten to the place of faith where you anticipate or watch for activity that is like the hand of God touching your life and hope? Come and join us in this space and heart of worship in Advent. And come, Lord Jesus. Come!